Protect-a-Cut is ready-to-use water resistant protective coating designed for above ground, exterior cut ends of pressure treated lumber. 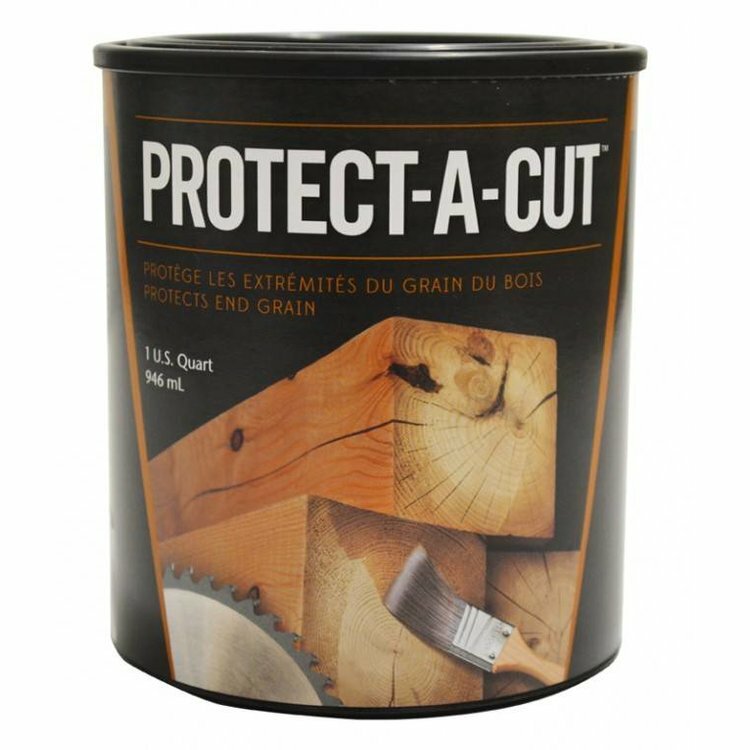 Protect-a-Cut is formulated to match green and brown pressure treated woods and is also available in Clear for untreated natural wood end cut surfaces. 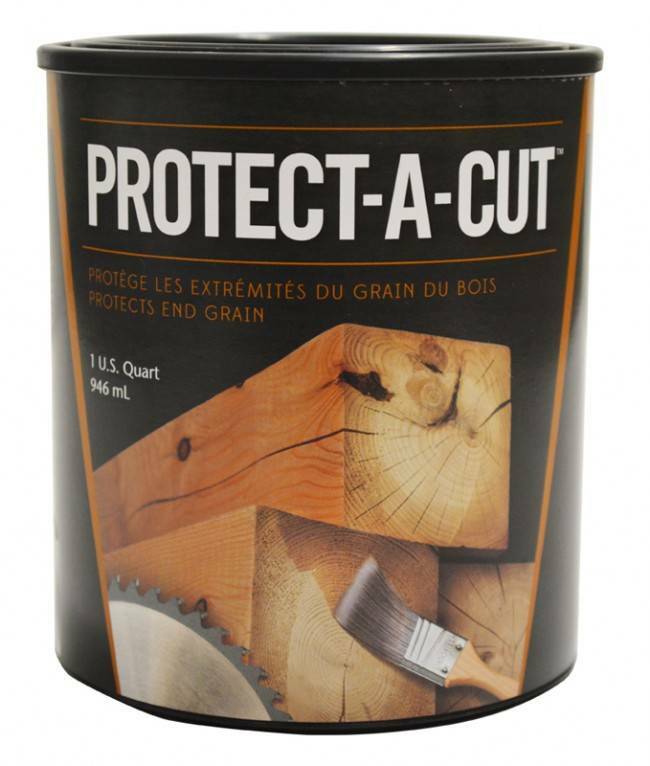 Ultra-low VOC and non-flammable, Protect-A-Cut provides protection against wood rot and improves dimensional stability. APPLICATION: Saturate the cut ends of the wood by brushing or dipping. If needed, wait an hour to apply a second coat.